In order to attend medical school, an aspiring doctor must spend years of hard work and study (not to mention many thousands of dollars). He or she must achieve solid MCAT scores, write an effective personal statement and construct dozens of letters to prospective schools. Even after the enormous expense of time, money, prep and effort toward the goal of attending med school, there is no guarantee of admission. A critical hurdle each medical school candidate must face in realizing his or her ambitions is the medical school interview. Acquiring the qualifications just to be considered for an interview is quite an accomplishment. However, once a student has been selected for a medical interview, all those qualifications mean little compared to how the candidate presents themselves to the institution of their choice. When all is said and done, this brief encounter with complete strangers will be the determining factor in the realization of your ambitions. Learn the secrets the interviewers don't want you to know! Medical interview preparation is crucial. Learn about what questions you may face and impress your interviewers with not only what you know but who you are. What methodology should be used to prepare for this event? Assess your strengths and weaknesses. Identify resources for giving a successful interview. 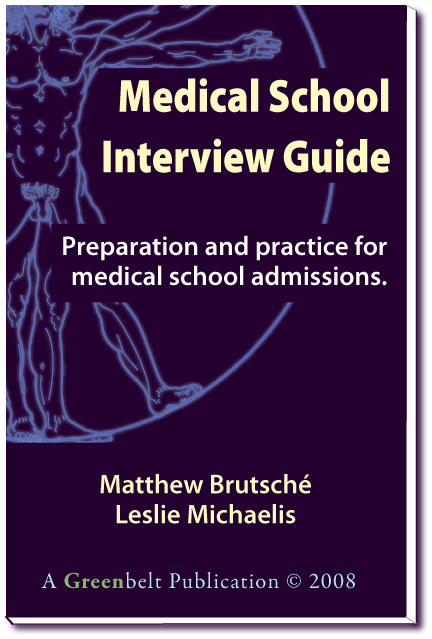 Educate yourself about the medical school admissions process. Have a clear understanding of what will be expected from you as a student. Formulate a conception of your academic and career goals. Anticipate the personalities of your interviewers and identify their aims during the interview.